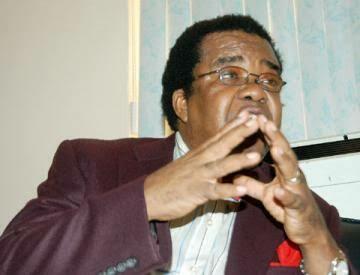 The former Minister of External Affairs, Prof. Bolaji Akinyemi, has called Nigerian political actors and their supporters to avoid anything that can destabilise the polity as the nation heads into the February 16 and March 2 general elections. The former deputy chairman of the 2014 National Conference said the current political climate leading into the 2019 elections filled him with trepidation. “I write as a former member of the Electoral Reform Committee, as the former deputy chairman of the 2014 National Conference, as a former foreign minister and as the originator of the peace process before the 2015 presidential elections,” Akinyemi pointed out. He warned that if Nigerians, particularly its political elites ignored his advice and warning, they and their sympathisers might be pushing the country over the edge, illustrating the likely outcome to the current political logjam happening in Venezuela. Venezuela, a South American country, is presently enmeshed in violence and political uncertainty with two individuals laying claims to power following a contentious election outcome. He, therefore, warned the Nigerian government and the opposition to by all means avoid a repetition of the Venezuelan nightmare in Nigeria. The statement noted: “I cannot but bring to the attention of Nigerians the significance of the latest development in Venezuela where the international community under the United States has accorded recognition to the opposition leader as the alternative President as their reaction to what it perceives as a flawed election. Speaking further, the political scientist appealed to political leaders to call on their supporters to eschew violence and any undemocratic behaviour during these elections. “We should avoid hate speech not just know but in our political system. Political leaders should commit themselves publicly and loudly to free, fair and transparent elections. This is the time for our leaders to commit themselves and their supporters to accepting the result of the elections if the results reflect the true wishes and intentions of the voters. “In case the elections are not free, fair and transparent, the loser should commit himself to using the tribunals and courts for redress, even though the judicial system is imperfect and under stress now. Above all, there should be no recourse to violence whatever the provocation,” he urged. Perhaps, alluding to the body bag statement of the governor of Kaduna State, Akinyemi added: “As someone who has led electoral observer teams to other countries for over a period of 40 years, I welcome and Nigeria should welcome the presence of the observer teams. They perform a useful role in elections all over the world.